If you are looking to save money on kids clothes or toys, you may want to check out today’s Plum District deal. 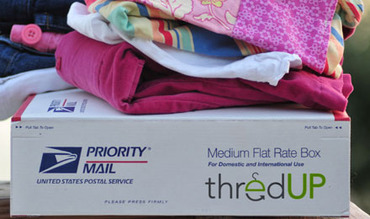 For $16, you get Two Boxes of Gently Used Clothes, Books, or Toys from thredUP. That’s a savings of 50%. ThredUP connects moms and dads online to exchange full boxes of gently used clothes, books and toys. This deal is a great way to check thredUP out for yourself!